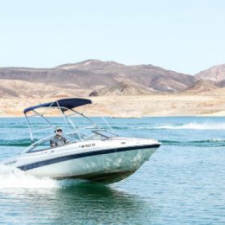 The Callville Bay Resort and Marina on Lake Mead is a full-service marina. It provides houseboat and over 650 boat slip rentals. This marina also has a snack bar, a gift store, and the Fountain Site Lounge overlooking the bay. This marina comes complete with a boat repair shop, an RV Park and campground, a dry storage facility, and a wide launch ramp.